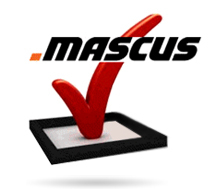 Mascus Price Indicator service is an online service that gives dealers an automatic valuation of used vehicles and machinery. Instead of having to rely solely on your own historical data or doing your own research, you'll be able to quickly receive benchmark valuation information using the best market data available. Mascus Price Indicator also makes a great independent valuation resource to show your customers that may not accept your valuation of their item. With Mascus Price Indicator, you can be confident that you are getting the best price for your used equipment without a lot of extra time and research needed. It's all done for you through the online service. Price Indicator Premium offers an advanced valuation service that provides more detailed valuation information based on statistical data and market research. It also takes into account factors such as vehicle options, age and average mileage or working hours. Get in touch with your local Mascus sales representative now to find out our rates and to discuss your valuation needs.